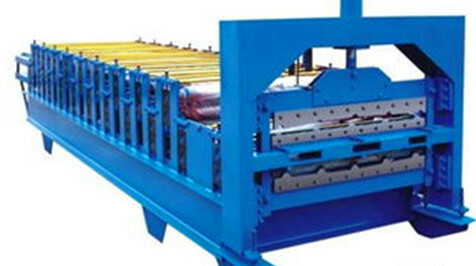 This production line can automatic continuous rolling forming ,track scale cut off and etc for the plate, ensure the continuity of production and often can up to max. 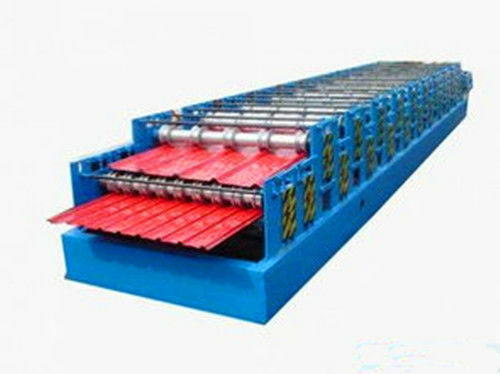 Steel strip coil are on manual feeding shelf, enter into roll forming machine for forming, and then cut the knife moulds to cut the product for length. (1) Cutting motion: The main machine automatically stops and then cutting. After the cutting, the main machine will automatically start. 1.One year warranty is provided. 2. Customers can send photos or samples for our confirmation once the parts are damaged within the one year warranty. If the parts are not damaged by misoperation, we will reply to customers within 48 hours and provide free parts for replacement. Besides, for the parts out of commission and beyond the warranty, we only charge for the basic costs of parts. 3. We regularly follow up the service condition of products, and timely analyze and copy with the feedbacks. As for the disputes, we will figure out effective actions to reach mutual satisfaction.